SPRINGVALE’S Lunar New Moon Festival has delivered a stronger financial return this year, declare organisers. 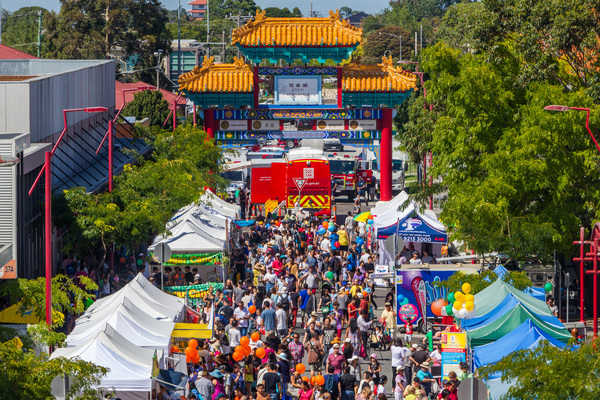 Springvale Asian Business Association spokesman Stan Chang said the festival’s losses were much improved from the 2015 festival’s blowout when it was organised by Greater Dandenong Council. Mr Chang estimated that this month’s festival – which was back in the hands of SABA – attracted a crowd of up to 70,000 and would lose less than $15,000. It had prospered due to the reduction of “council red tape” as well as the help of its own event organiser, an improved stall layout and better weather on the day, he said. The right balance between council support and SABA independence had been struck. “Each minor decision (last year) had to go through three levels of council officers. The event had not attracted many major sponsors but had many minor supporters to help offset the cost, Mr Chang said. SABA would seek to fund-raise to pay for the outstanding loss. Councillor Sean O’Reilly endorsed the event’s success under the energetic leadership of SABA president Daniel Cheng. He said if SABA continued to meet health-and-safety requirements, he couldn’t see why it couldn’t continue to run the event. The council stepped in ahead of last year’s festival after SABA threatened to withdraw from the annual event over an infringement notice in 2014. At the time, Mr Chang claimed the fine for selling food after the festival’s permitted opening hours was unreasonable. The infringement notice was withdrawn after negotiations between the council and SABA.